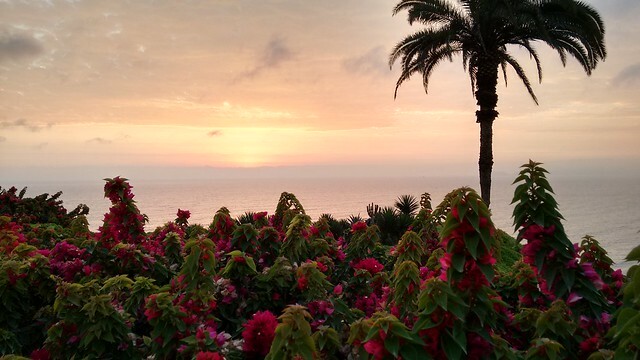 I have now been in Lima for a week, and it is amazing how fast the time has passed. In some respects, it feels like I never left; many aspects of the city appear to be exactly the same, and my friends have welcomed me back with open arms. 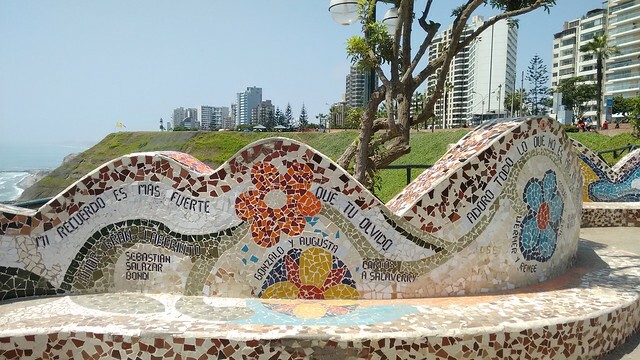 I easily remember how to navigate the city, although there have been some changes to transportation options, including dedicated, protected bike paths throughout Miraflores! 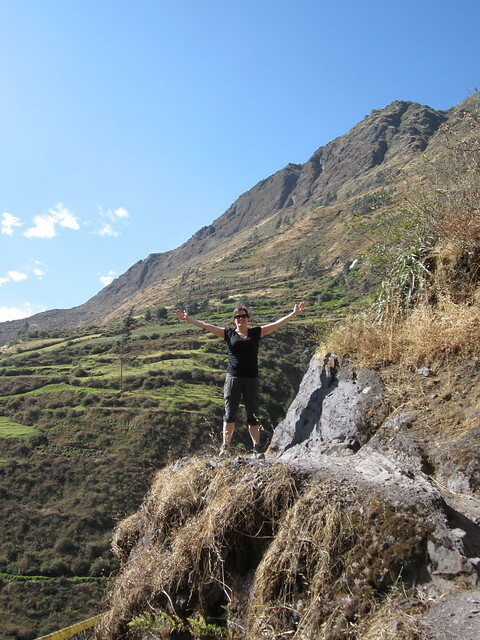 On the other hand, I have been realizing that I definitely went back to being very “American” after a year in Boston, and I am hoping that my time here in Lima helps bring me back to my more “flexible” South American attitude! After a hectic holiday week followed by two relaxing days in Boston, I was ready to finally get on my way. My flight left bright and early in the morning, which meant I got to watch a beautiful sunrise from Logan Airport. 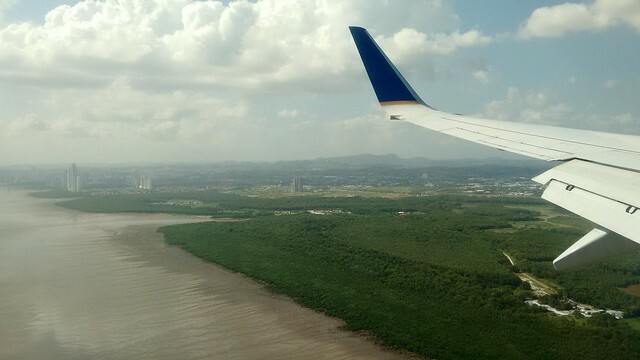 I had a layover in Panama, a country I had never visited. 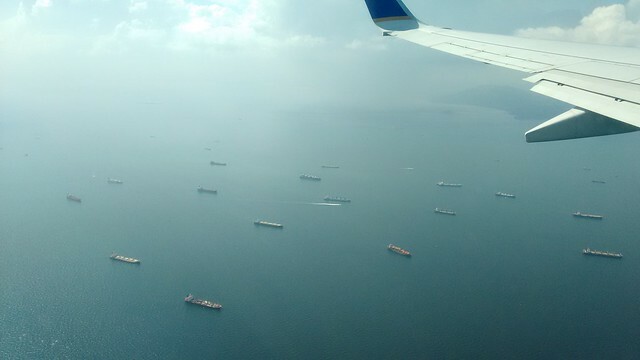 As we approached, I saw the boats heading through the Panama Canal. After hearing so many stories about its construction in childhood history classes, I really enjoyed seeing how giant the canal actually is. 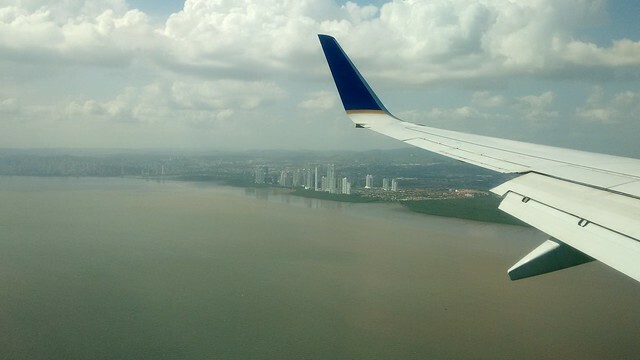 I was particularly surprised by the sprawling city of Panama, with its towering skyscrapers lining the coastline. 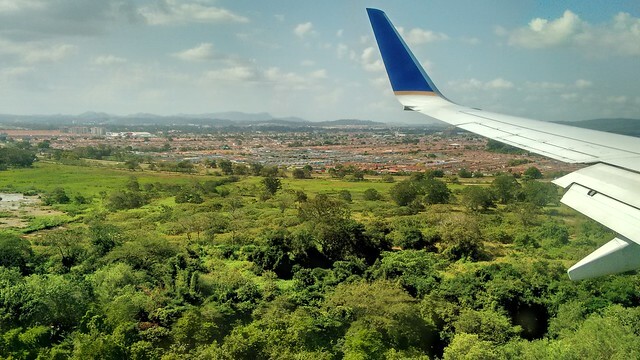 Soon, the city gives way to the green of the tropical countryside. Finally, after a long day of travel, I arrived in Lima, passed quickly through immigration and customs, and headed to my friend’s house. 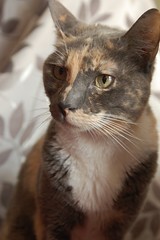 Here, I was reunited with her lovely cats, whom I’d gotten to know while staying with her before leaving Lima. 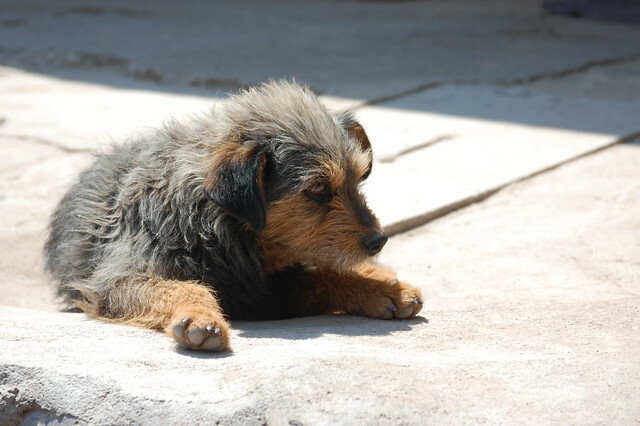 Her cats are rescues from Parque Kennedy in Miraflores, and while they are skittish around humans after being mistreated by their original owners, they are adorable and slowly have grown to trust me. The next day was New Year’s Eve! 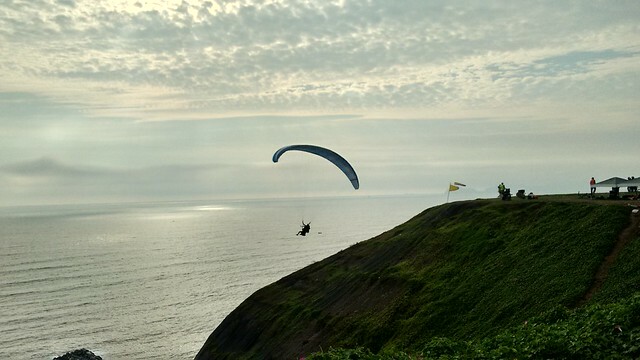 I tagged along with my friends’ plan to head to their rented beach house in Pulpos, one of the most desirable beach locations along Lima’s southern coast. As it turned out, several of my friends and acquaintances from my time in Lima were attending the party, and it was awesome to reconnect with the lovely people who made my life here in 2012-2013 that much better. 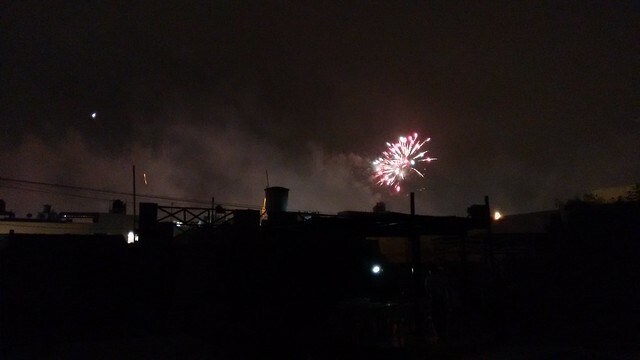 I was surprised and delighted by the New Year’s Eve tradition of filling the sky with fireworks at midnight. Although this photo only shows the tail end of the spectacle, at midnight, there were fireworks all over the beach, brightening the night sky. 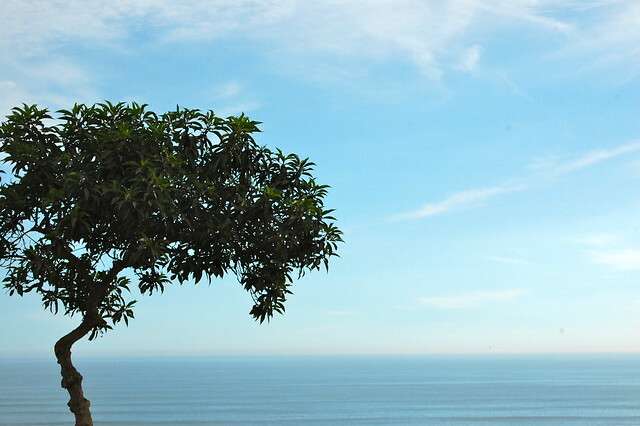 Even though it is technically summer here in Lima, which usually means clear blue skies and lots of sunshine, the sun has been reluctant over the past week, leading to grey skies over the beach on New Year’s Day, so we did not actually spend any time sunbathing. Instead, we enjoyed a large barbecue dinner with lots of wine and great conversation. I love this aspect of South American culture, lingering over the table, talking about everything and anything under the sun. 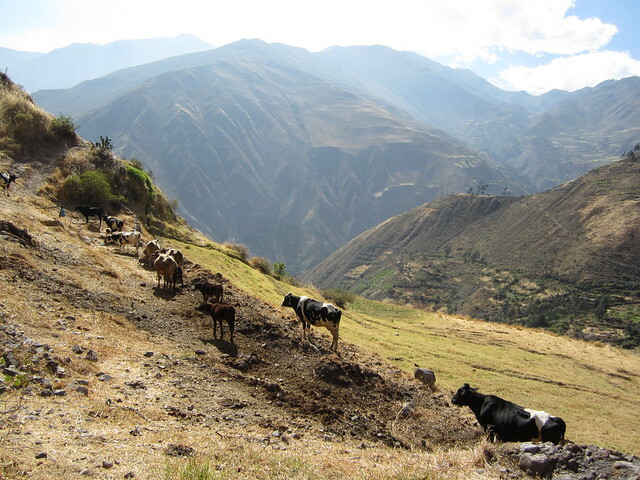 Later that day, we headed back to Lima, and I was excited to see the sun finally come out from hiding. 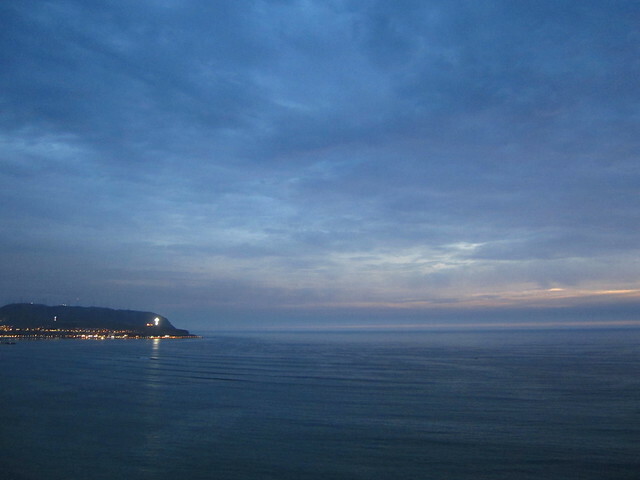 I decided to go for a long walk along the Malecón of Miraflores, one of my favorite things to do. This was also a way to reconnect with the “me” of 2013 and process the multiple feelings of confusion, loss, and joy I have been going through as I’ve realized what I’ve missed while gone, what has changed and what has stayed the same, and as I’ve enjoyed reconnecting with my friends and my former home. Unfortunately, I forgot to bring along my sunblock on this long, leisurely walk, and I realized I was getting really burned. 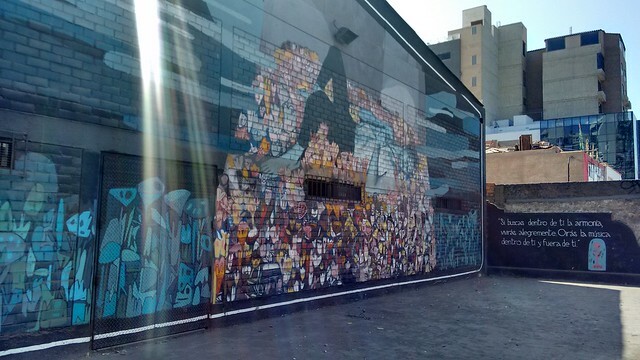 I decided to detour down a street with more shade, and spotted this lovely mural. The quote reads, “If you look for harmony inside yourself, happily you’ll pray to the music inside of you and outside of you.” This quote pretty much illustrates what I am trying to do while here! I took another detour along Av. José Pardo and decided to head to El Enano, one of my favorite restaurants, to drink a delicious jugo (juice) made from grapes and tuna, or prickly pear, both in season at the moment. This was a great way to honor my health after the inevitable indulgence during the New Year’s festivities! 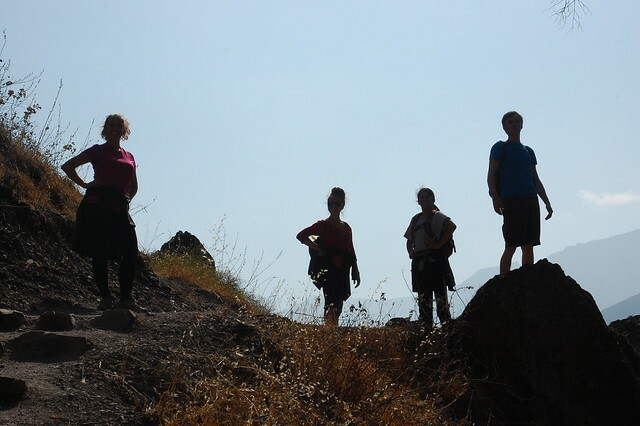 We returned to Pulpos the next day to enjoy the sunshine and some relaxing time at the beach and amongst friends. 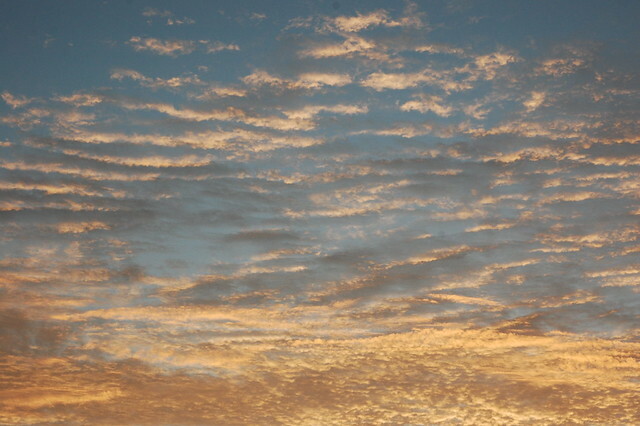 Because of the mix of sun and clouds, I was able to enjoy these beautiful clouds at sunset. After an enjoyable long weekend filled with friends and time to relax, everyone had to return to their regularly scheduled lives this week. I even decided to continue tutoring my students through English with Kim, and was happy to find that the sometimes spotty internet connection stayed consistent during my lessons. 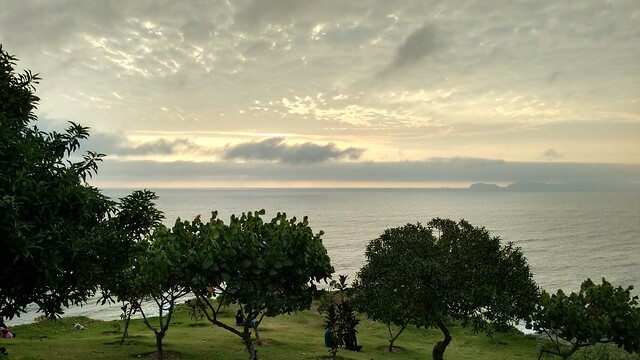 Yesterday, I decided to wander through Miraflores some more, return to my favorite vegetarian restaurant, Sabor y Vida, and spend more time enjoying the Malecón. 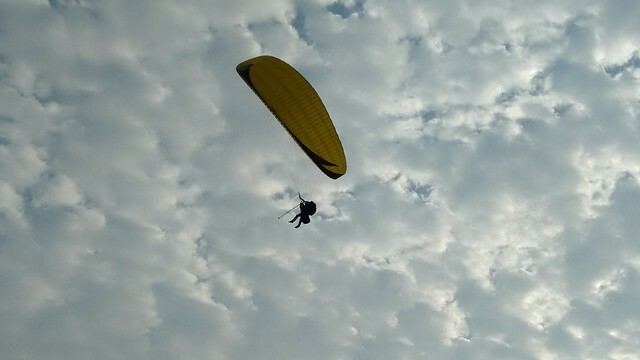 The strong breeze meant it was a perfect day for paragliding, and lots of people were watching the many parachutes floating through the sky. This was also a great opportunity to try out my new cell phone’s camera, and I have to admit I am very happy with the photos I managed to capture. Of course, I wished I had brought my SLR, but I have some great memories of this gorgeous afternoon and the amazing sunset afterwards. While waiting for the sunset to arrive, I pulled out my brand new travel journal and began capturing my experience here, finally back in South America in 2015. I have also been surprised to see that Christmas decorations remain up, even though we are well into January. 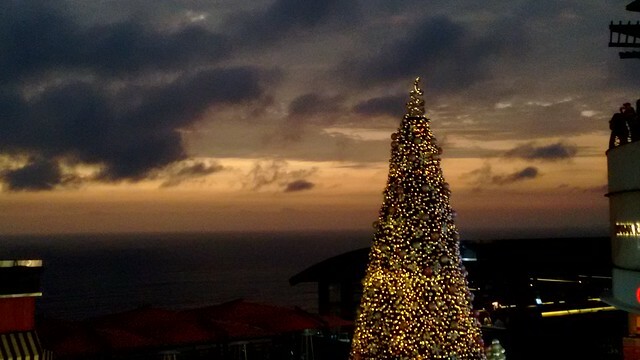 Throughout Miraflores, you can see Christmas lights all over buildings and throughout the public parks! Last night, I went to the salsa night at Sargento Pimienta in Barranco, one of my old haunts. While I was disappointed to find that the ambiance has changed and they no longer have live music, it was nice to realize that my dance skills really have improved over the past year! As you can see, it has been a lovely week of reconnecting with this city that I loved. 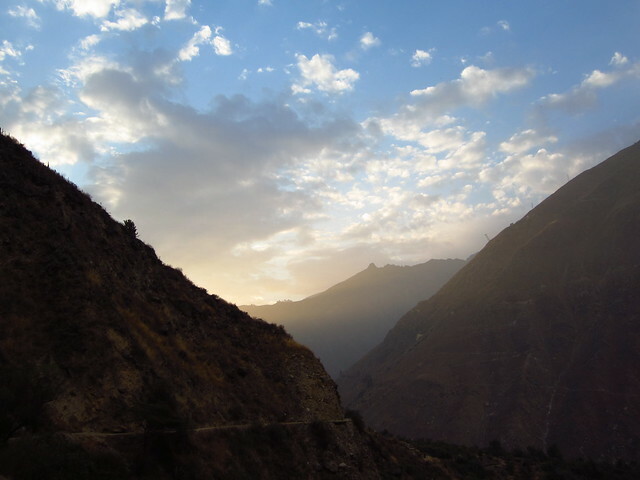 While it has become clear to me that my life is no longer here, I am making an effort to rekindle the important connections I have with Peru. 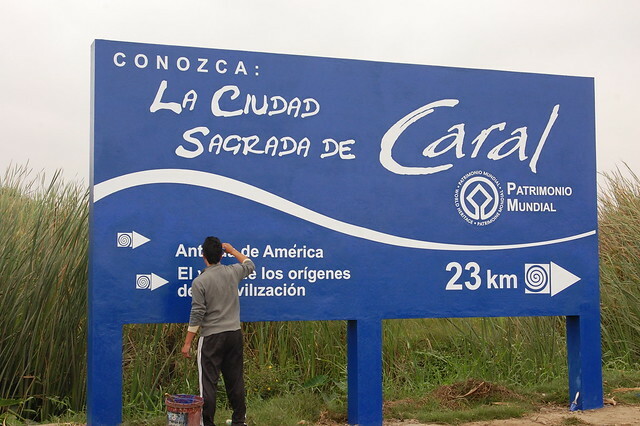 To this end, I am taking a short trip to Casma tomorrow to visit the ruins of Sechín, planning for a couple of nights out with friends and a little more time at the beach, and visiting Huaycán to see some of the kids I worked with and experience the changes in the developing community for myself. 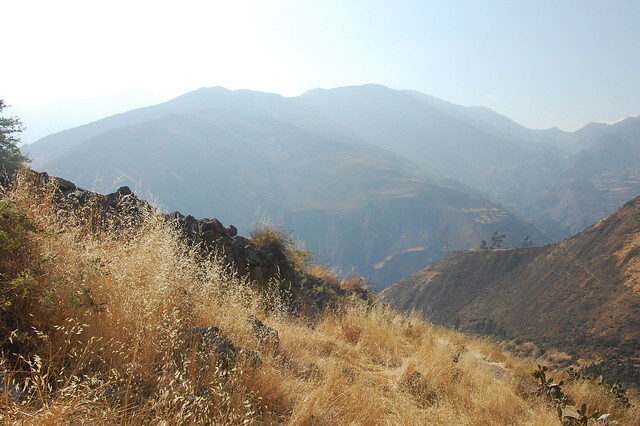 Next Friday, I leave Peru for Chile, where a whole other adventure awaits me. Already, there are clear signals that things are not going to go as planned, but I am going to do my best to learn from the uncertainty and throw myself into it as best I can! This year, my goal is to be present while moving forward, and the past week is only the beginning of putting that into practice! 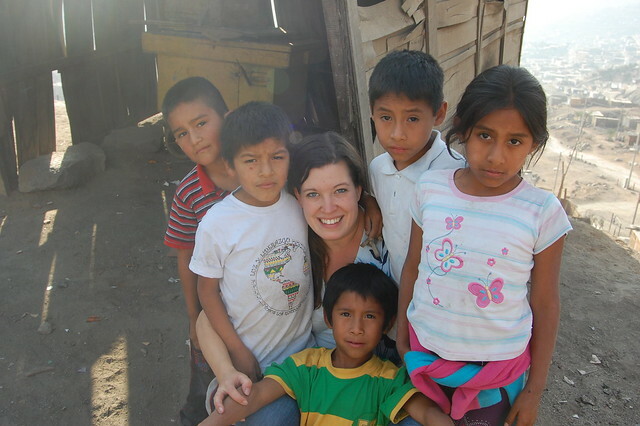 It’s hard to believe that one year ago I was wrapping up my last day in Huaycán. I was mentally, emotionally, and physically exhausted from all the goodbyes, goodbye parties, and cognitive dissonance arising from the fact that this place that had become so familiar and like home was no longer the place I lived. On July 1, 2013, as I said goodbye to my fellow volunteers and got into the taxi which was taking me to the bus station, I was speechless. 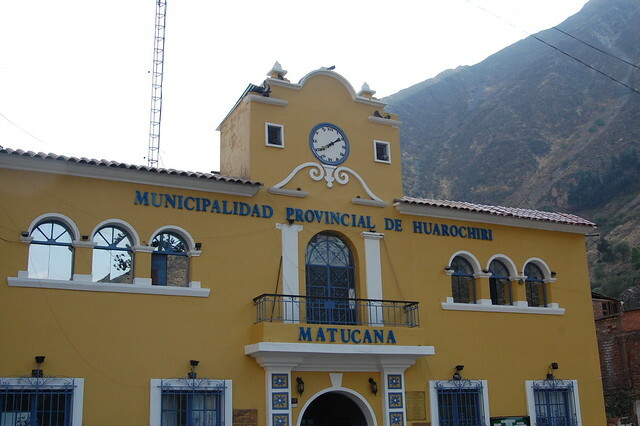 My brain just could not process that I had left Huaycán for good; while I am sure I will be back to visit next time I’m in Peru, the reality is that I will only be passing through. 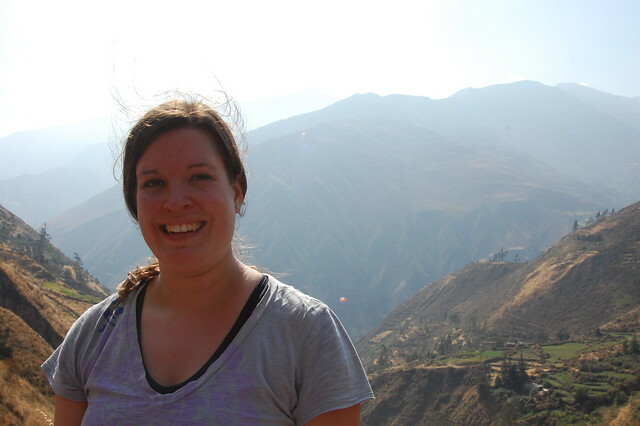 Luckily, I had a 21-hour bus ride to Chile ahead of me, which gave me time to process and adjust to my new life as a backpacker. The decision to immediately start traveling helped me bypass the grief over leaving all those kids that I loved and a community that had welcomed me. My trip was blessed by luck, love, and amazing companions. The nearly five months of travel showed me that I was completely connected to the flow of my life. There is nothing so empowering as living your dream. So here I am, one year after volunteering. What does my life look like? I live in a city that I love in a centrally located apartment with minimal possessions. I got used to having so little in my year and a half away that I am slowly but surely reducing my possessions to only the essentials and things that bring me joy. I have a job that I enjoy with supportive coworkers and managers and I have finally achieved my last formal educational goal for a while by finishing my TESOL certificate. I have wanted/needed to do that since 2009! Inspired by people I met during my travels, I have some new business ideas that I am very excited about. Details to come. Health-wise, I decided to continue eating Peruvian-style – I generally eat eggs or avocado for breakfast and try to eat a larger lunch and a small dinner. 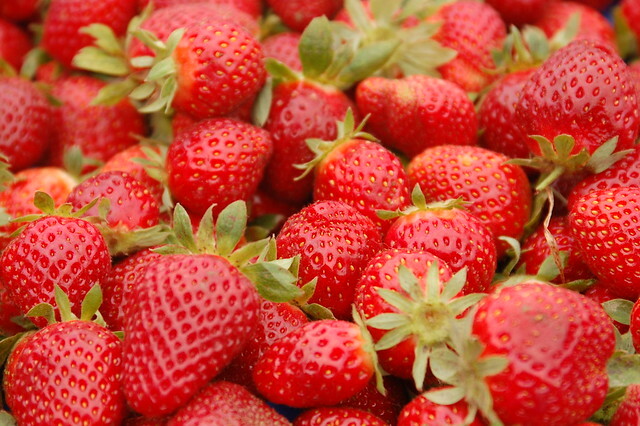 Now that it’s summer, I eat a ton of fruit, just like I did in Peru, except instead of mango and granadillas, I’m eating local berries. Activity-wise, I am proud to say that I have kept up my regular yoga practice. 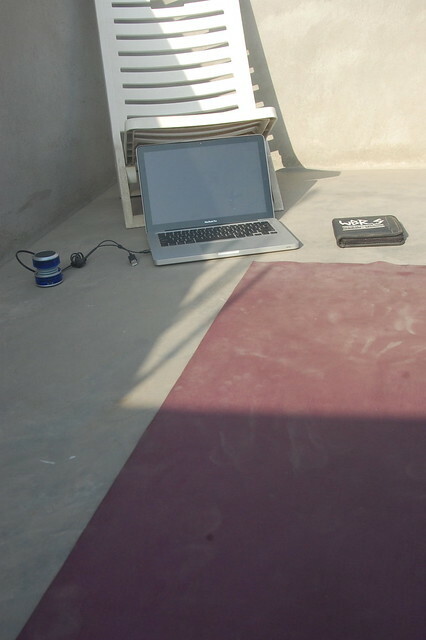 As you see in the photo above, my “yoga studio” was my mat, my computer, and my Shiva Rea DVDs. I still practice at home at least three times a week, and I am still so thankful that I was able to find refuge in yoga during my year volunteering. My body still feels amazing. I also go salsa dancing fairly regularly (and here I can actually dance bachata, which has yet to make it to Peru). 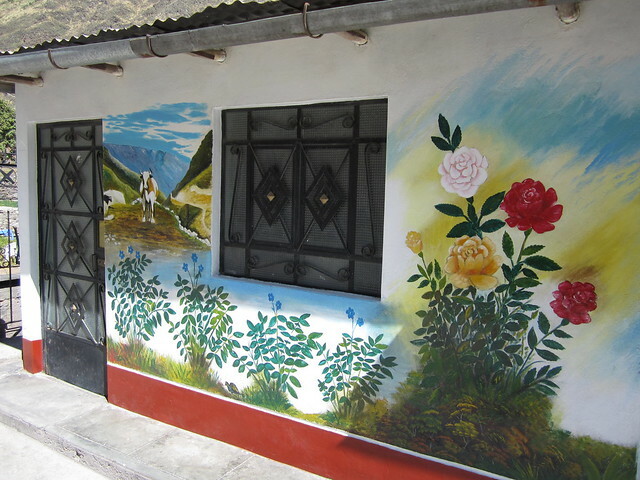 I wander the streets of Somerville and Cambridge about as often as I wandered through Miraflores and Barranco. 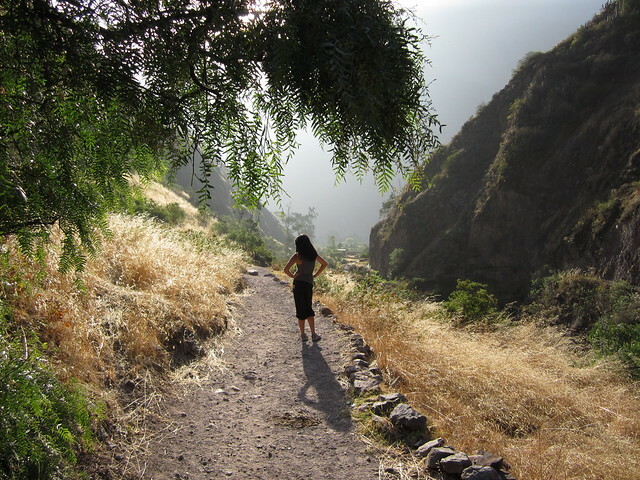 I really miss hiking, but hopefully I’ll be able to go again soon. As far as “new” activities, biking around Easter Island and San Pedro de Atacama inspired me to reconnect with my long-neglected bike! It helps that almost all of my friends here are serious bikers! I have only been back on my bike for a week, but I’m obsessed. Cambridge is much more friendly to biking than it was a few years ago, and I love exploring the back roads of my neighborhood and the bike paths around the area. I am also super excited to report that I continue to read voraciously. 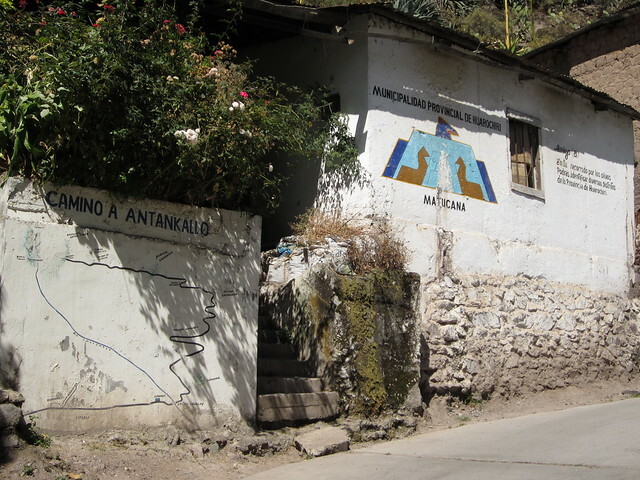 I read almost every night in Huaycán and it rekindled my love of reading. Reading in the park is still one of my favorite weekend activities. I am hoping to read 30 books this year! In terms of travel, I have slowed down in order to replenish my funds! I went to Winston-Salem, NC in May for my brother’s wedding, and I’m going to DC in September to celebrate a friend’s wedding. I’m hoping to make it to NYC to visit my friends and their new babies sometime this summer. I’m dreaming about a cross-country road trip or another overseas adventure, but for the moment, these are dreams and not yet plans. As you can see, leaving everything behind for 1.5 years has only brought more joy into my life. My friends and family have welcomed me back, and I continue to integrate the insight I gained from volunteering and traveling into my daily life. 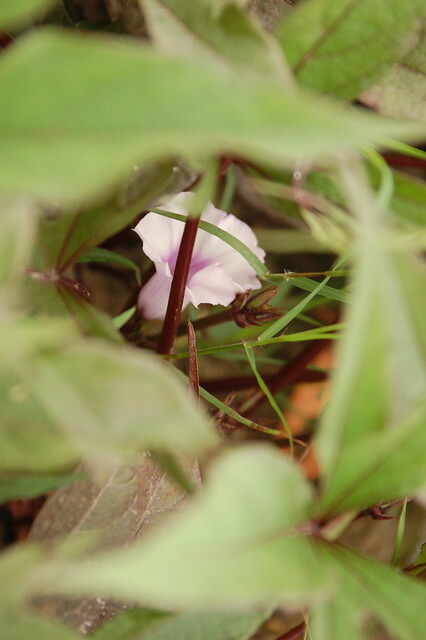 I am a happier, healthier, and more grounded person because I chose to change my perspective and deeply experience Huaycán. Was volunteering perfect? No. Was I a perfect volunteer? Also no. But did I do the best I could with the resources I had? Absolutely. At the end of the day, that’s all we can ask of ourselves or anyone else. Lima. 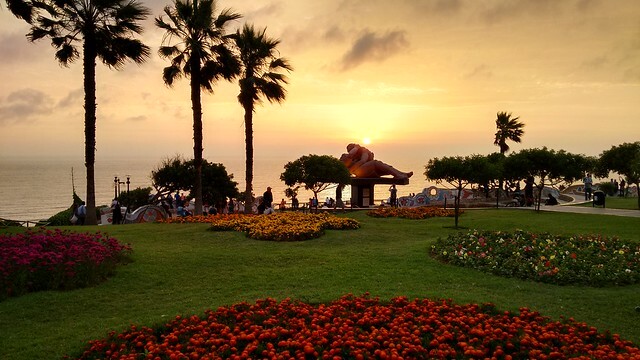 Last week, when I was wandering around the malecón stretching between Barranco and Miraflores and enjoying the sunshine and coastal views, I realized that I really love Lima, and the idea of leaving this city makes my heart ache. 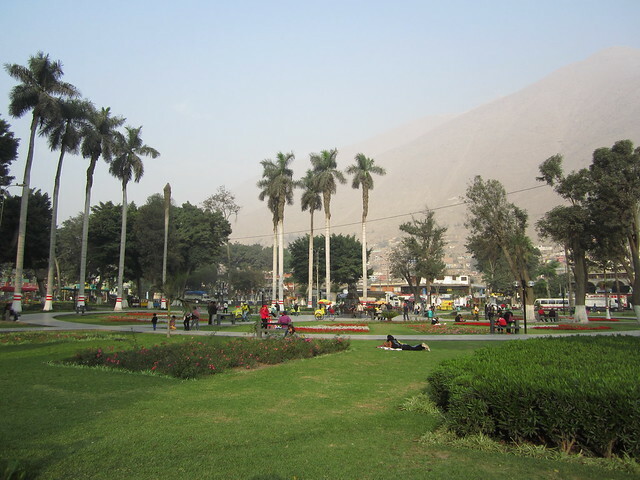 Technically, Huaycán, where I live and volunteer, is part of Lima, but when I think of Lima, I think of riding a combi down the long throughway of Javier Prado, where I pass through many neighborhoods, such as La Molina, San Borja, La Victoria, and San Isidro, on my way to Avenida Arequipa, which leads to Lima Centro through Lince, and through San Isidro to Miraflores, where I have spent a great deal of my free time. 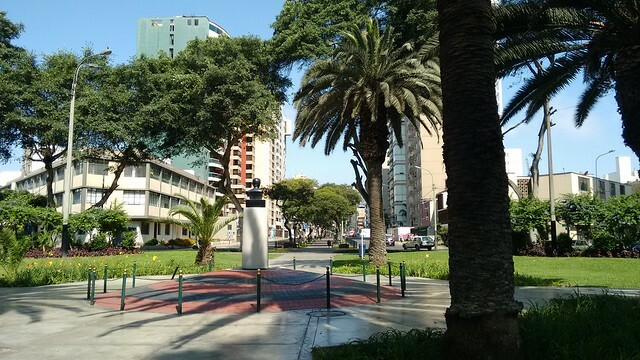 Since my combi rides are usually about two hours long, I have become very familiar with the storefronts and businesses lining these main roads, with the buses that connect different parts of the city, and the rhythm of life in Lima, both in the metro area and the district of Ate Vitarte where Huaycán is located. 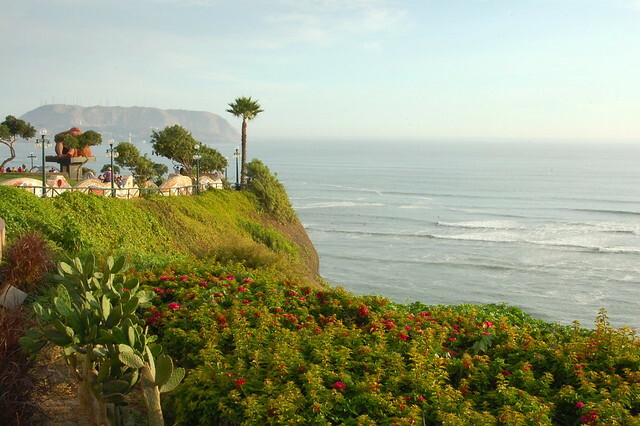 For all its overwhelming noise and stress, Lima has won a part of my heart. 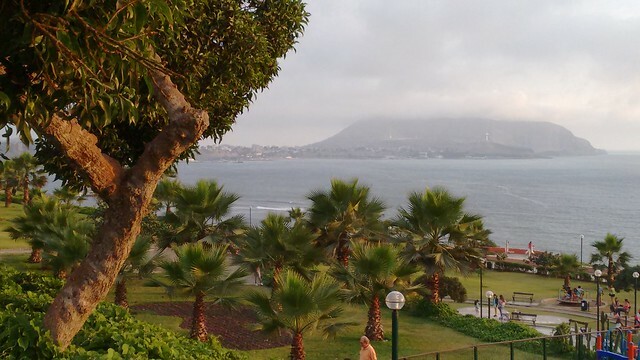 As I’m sure I’ve mentioned before, I’ve spent a lot of time in Lima over the past 10 months. 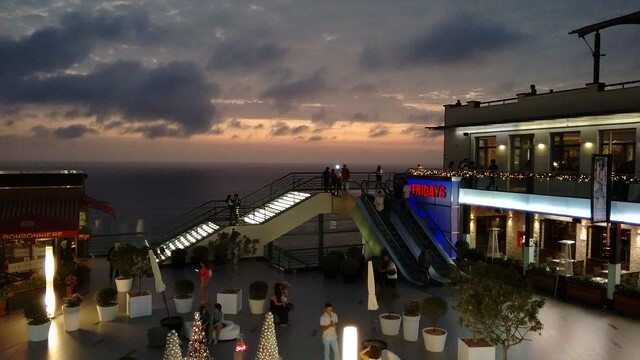 In 2012, I usually spent my entire “weekend” in Miraflores with my friends, escaping from volunteer life on Tuesday nights and coming back Thursday afternoon or even later. Recently, my routine has changed, both due to changes in the lives of my closest friends there (one of whom moved away, *sniff*) and my need to spend time on my own projects and save money for backpacking. As I come closer to the end of my stay here, I’m allowing myself to spend a little more money and enjoy more time in Lima. I’ve spent a lot of that time wandering along the malecón, taking advantage of the sunny days of summer and early fall. As fall sets in, so do the never-ending clouds and chill in the air, so I feel especially lucky to have appreciated so many blue skies and the intense sunshine of summer. 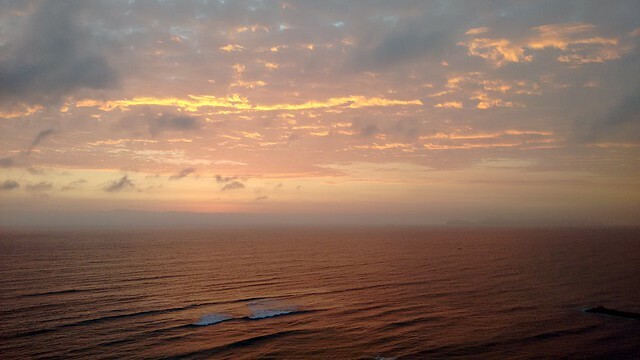 It’s strengthened my love for Lima, and enabled me to see a happier, more relaxed side of this hectic city. 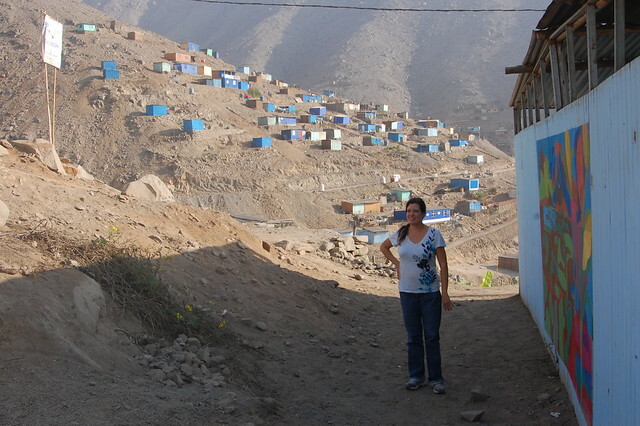 Many visitors come in the months of July and August, as I did in 2007, when Lima just doesn’t have the same appeal. 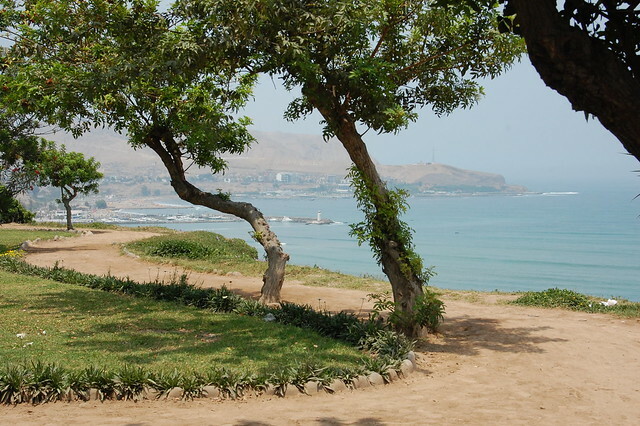 Now that I’ve seen Lima through its different seasons, it’s going to be even harder to leave. In October, after a few months of volunteering, some great treks, and many weekends spent in Lima with friends, I had the opportunity to visit the ancient city of Caral, located nearly 200km north of Lima, with some of my fellow volunteers. 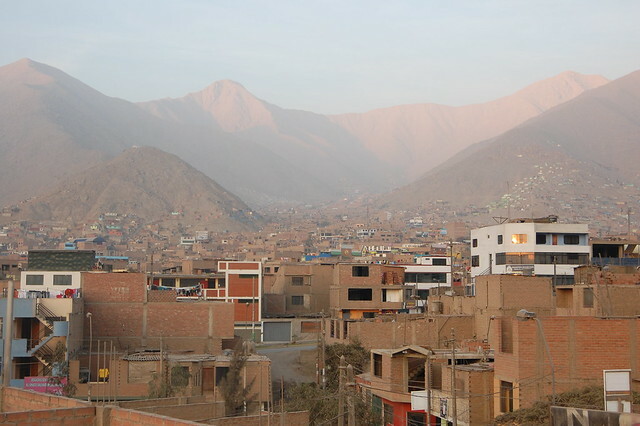 The owner of a Lima hostel had recently started a new hostel in the town of Caral outside this ancient, hard-to-visit city and was trying to get support for a nonprofit he had also created. 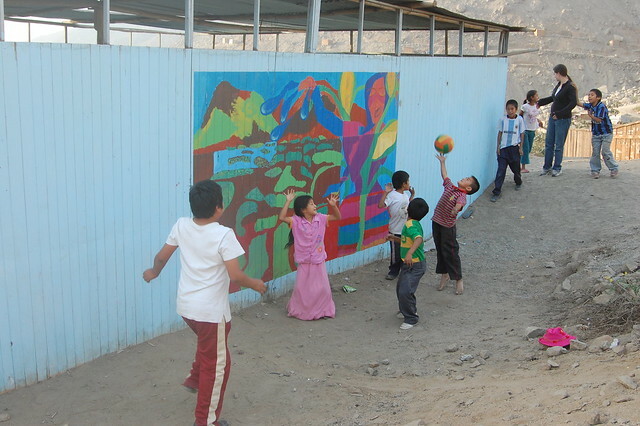 He offered to take us to Caral in his 4×4 so that we could explore the ancient city, stay in the new hostel, see the work he is trying to do, and meet the local kids of Caral. 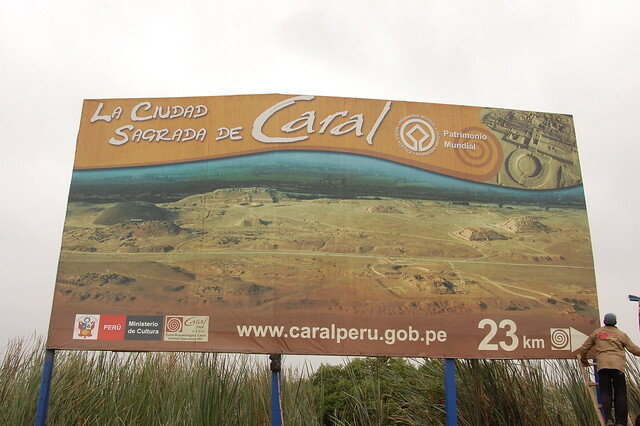 Caral is believed to be the oldest city of the Americas, a settlement established 5000 years ago. The diligent work of Dr. Ruth Shady led to the pyramids being uncovered not even 20 years ago, and they continue to be studied by Dr. Shady and her team. 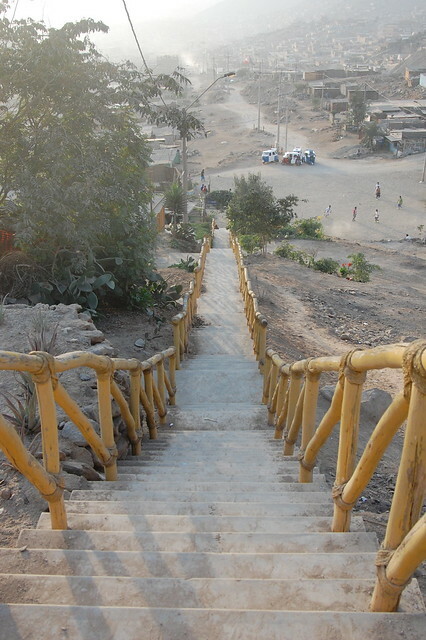 The easiest way to visit Caral is through a tour or using a private car, but it’s possible to get there on bus and stay in the town. 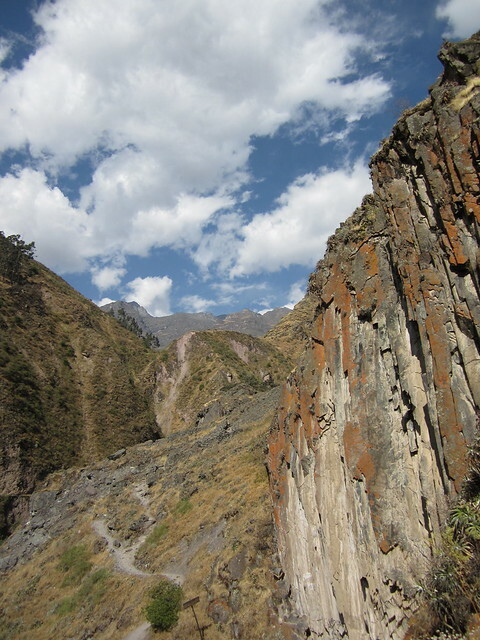 We left Lima early in the morning, heading north on the Panamerican Highway. 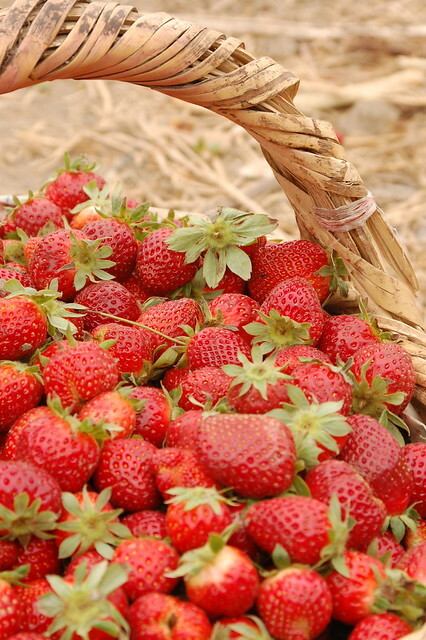 Our first stop was at giant field of strawberries, where we got to try the delicious fruit and take some with us at only 15 soles a pallet! 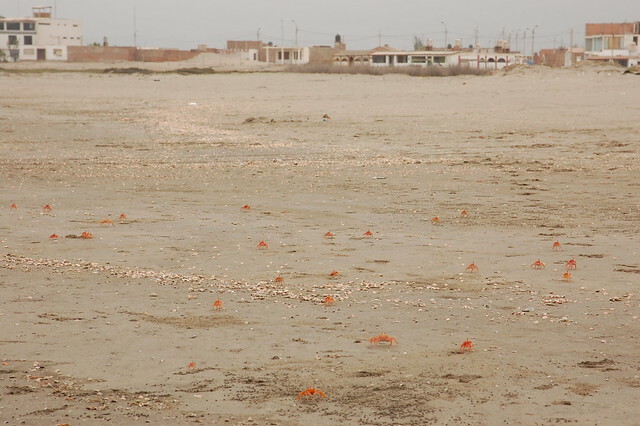 From there, we continued on north until we reached Caleta Vidal, a small town on the coast right before the inland turn-off to Caral. 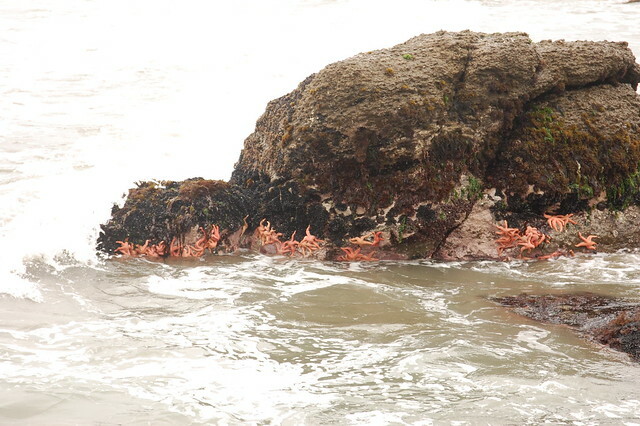 It was nice to see the coast again up so close, along with all the sea creatures, like crabs, seagulls, and starfish! 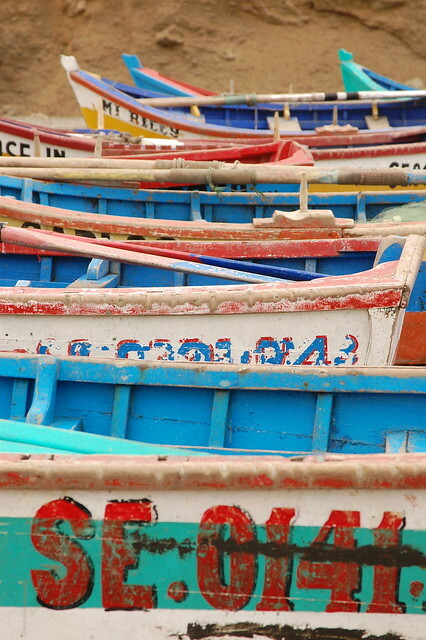 Colorful fishing boats to liven up the grey morning! 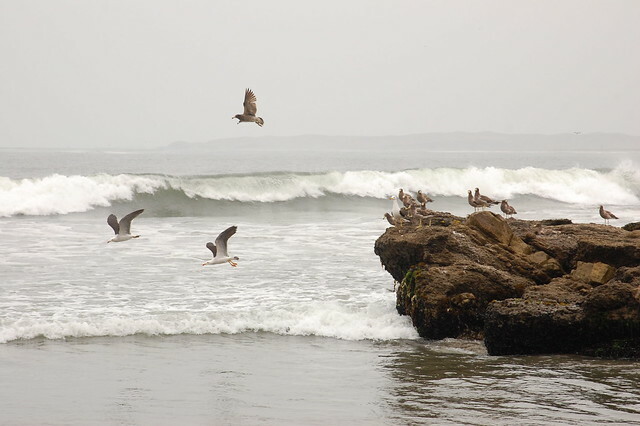 After enjoying the coast, we began the trip inland. The 18th anniversary celebration was held the following weekend, so we saw everything being spruced up. 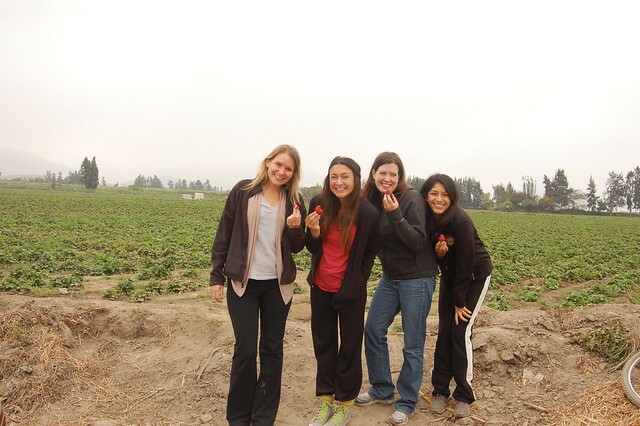 Along the way, we also stopped to appreciate the crops growing in the fertile land of this region. And then we continued on to the main event: seeing the pyramids of Caral for ourselves…in the next post! 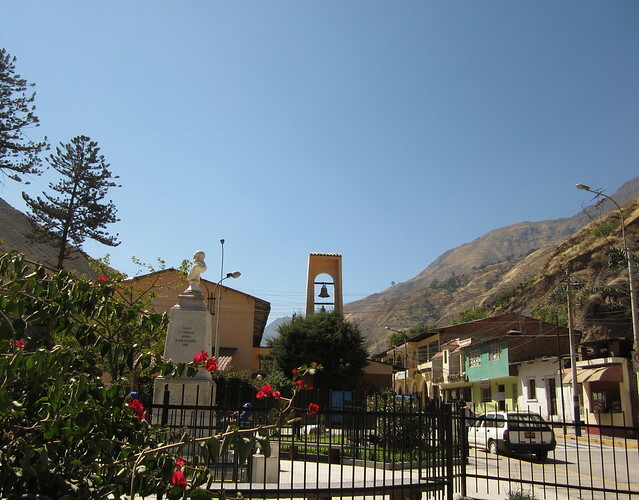 As I mentioned in my last entry, an easy escape from the dusty craziness of Huaycán (and the noise of Lima) is the small city of Chosica. Chosica is well-known for its sunny climate year-round. 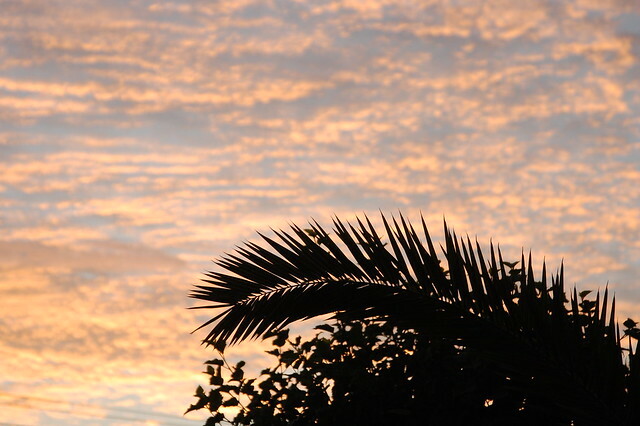 In the South American winter, it was nice to see and feel the sunshine! 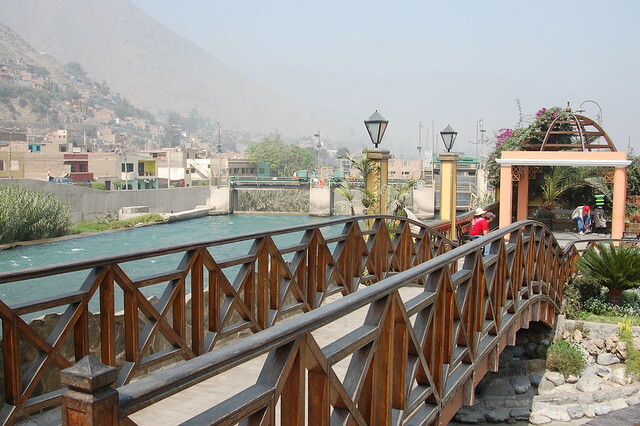 Chosica has a pleasant canal and a lot of greenery to lift the spirits. 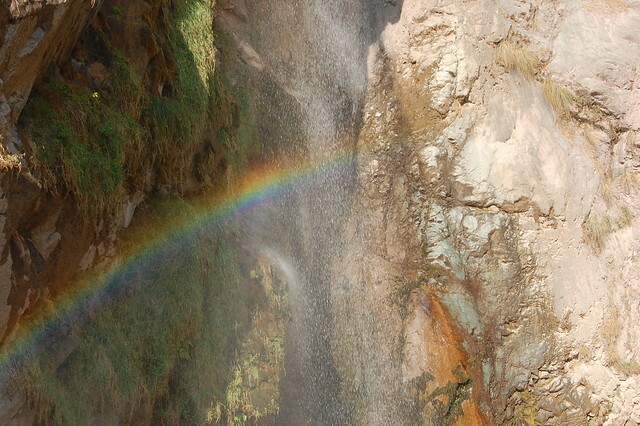 While Chosica is pretty in its own right, it’s also a required stop en route to Matucana and San Jerónimo de Surco, a town from which you can hike to more waterfalls: Catarata Huanano and Cataratas de Palacala. 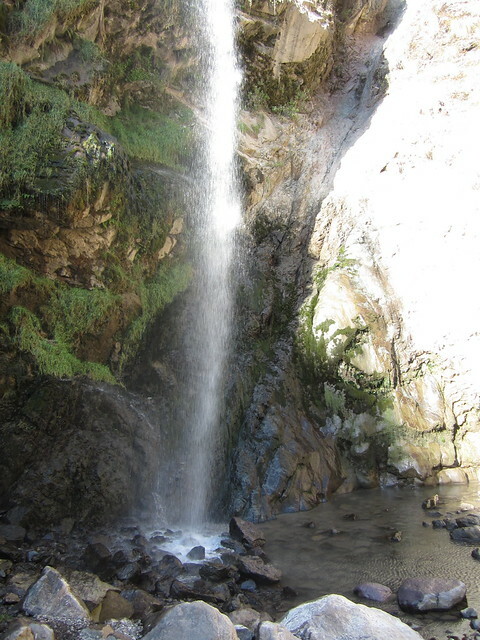 When I visited in August, it ended up being too late in the day to begin the longer hike to the Cataratas de Palacala, so we decided to go see Catarata Huanano. 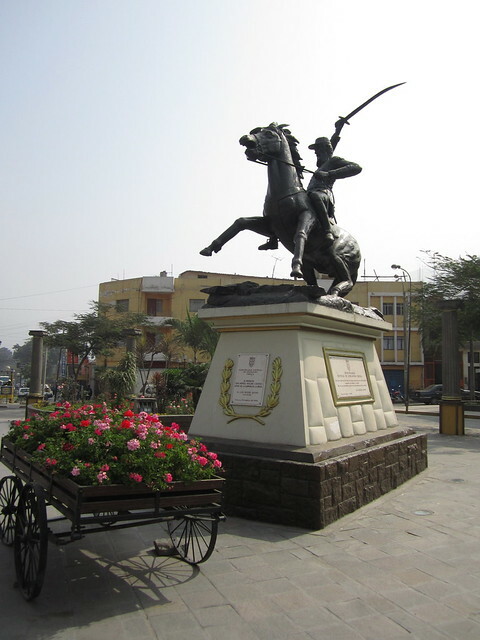 The first thing that is striking about Surco is all the greenery, as well as the predominance of cacti and other desert plants. 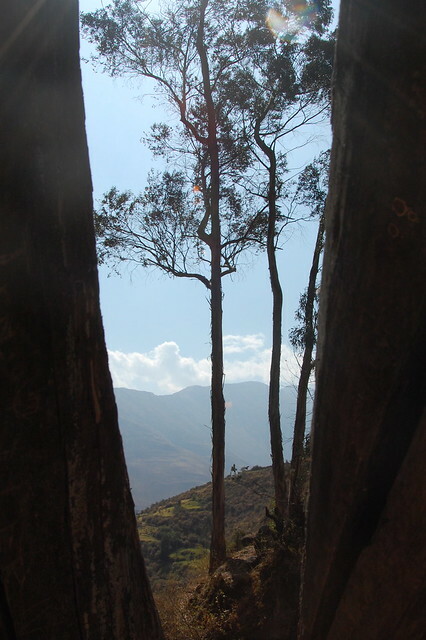 The landscape is similar to that of Matucana, but unique in its own way. On the way, you can also see the ruins of Huanano (not pictured), which I don’t know much about. 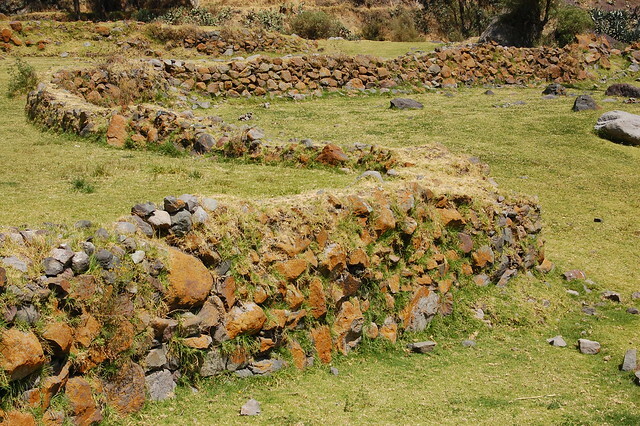 It’s just proof that ruins are everywhere in Peru. 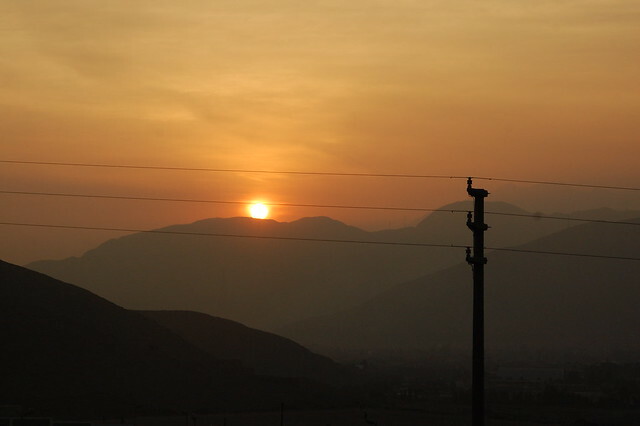 But for me, the best part of the hike was seeing the beautiful sunset on the way back. 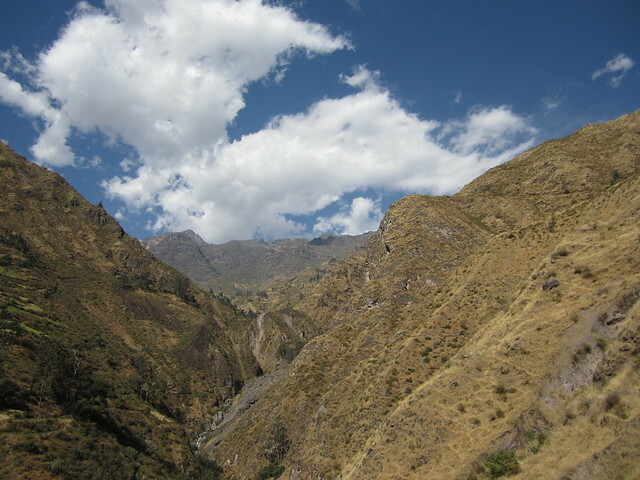 There was actually a little bit of rain on the descent, which led to the atmospheric clouds. Beautiful, right? It’s so nice having these places as low-budget escapes so close to where we are volunteering. I need to make an effort to get back there soon! 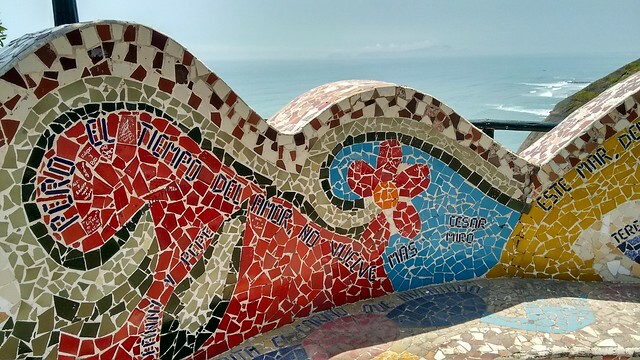 One of the fringe benefits of my year-long volunteering position is the proximity to all the cool things there are to do in Peru, especially in the area around Lima. 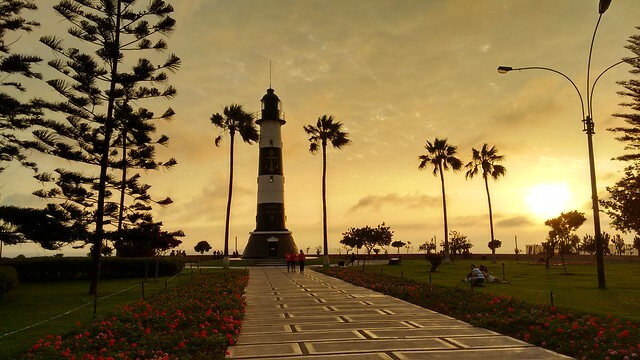 Most people who visit Lima as tourists or travelers use it as a transportation hub for getting around to major sites around Peru or as another major city to explore. By living here, we find out about other types of day trips that the average foreigner just doesn’t get to see. 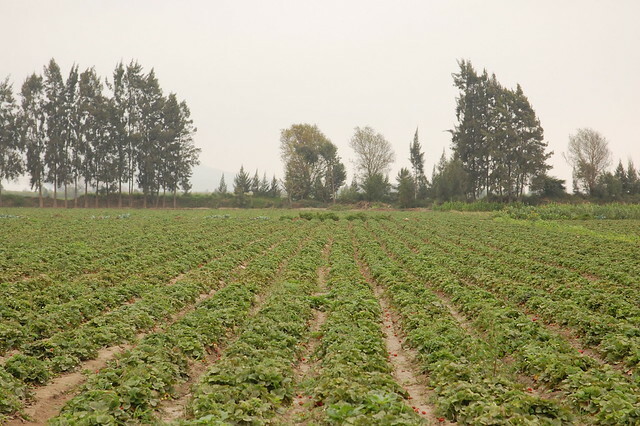 For example, Matucana. 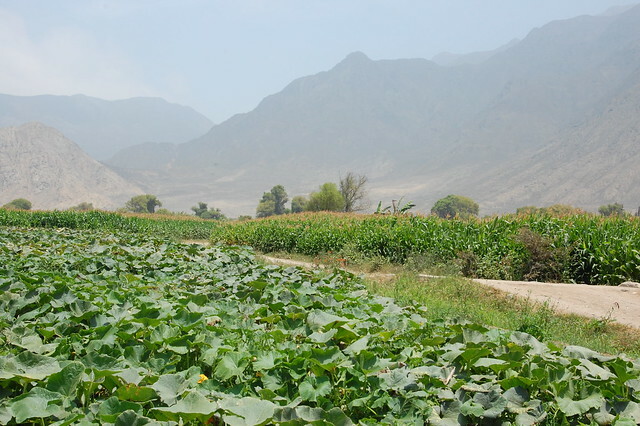 Matucana is a small town located about three or four hours outside of Lima on the Carretera Central (the main highway). 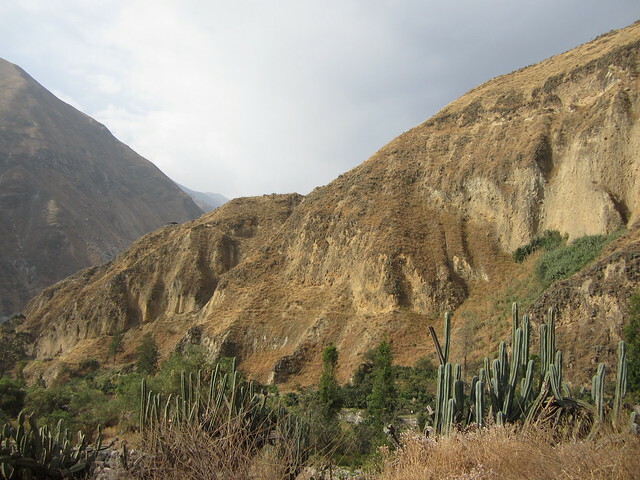 To get to Matucana, you first must get to Chosica via the “Chosicano,” a frequent combi bus that runs through Lima and then up the Carretera Central, or a colectivo, or shared taxi. 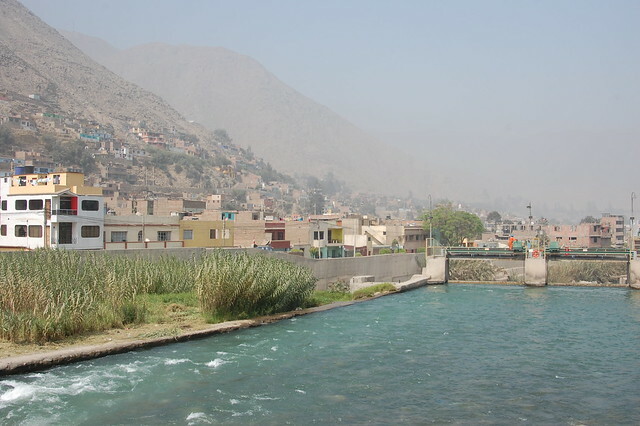 Chosica is a small city often used as an escape from Lima or the surrounding towns (like Huaycán), since it tends to be sunny year-round. From Chosica, you take another colectivo to Matucana. 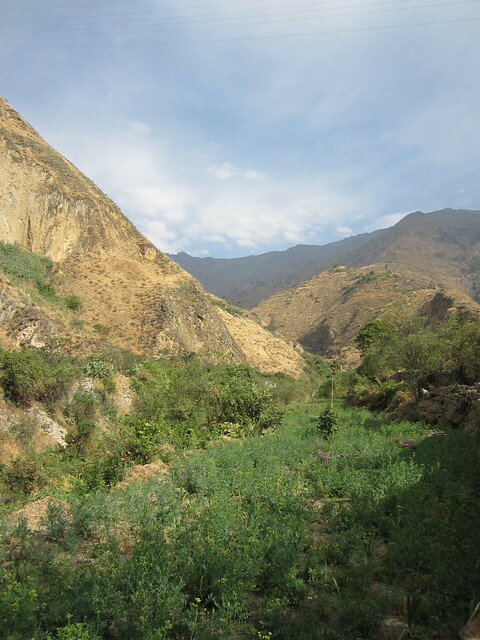 After being in dusty Huaycán, the drive through these beautiful mountains with all their greenery and running rivers is especially refreshing. 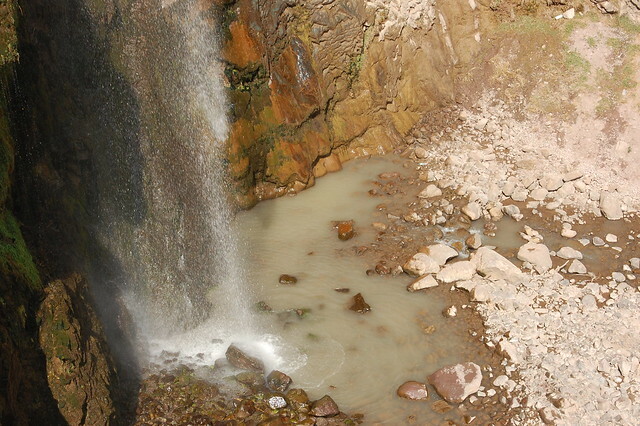 When you arrive to Matucana, you arrive to the quiet plaza, where you can eat a snack or get some treats for the hike, as well as visit the tourist information center. They’re always surprised but happy to see foreigners there, since I imagine not many pass through unless they are living, working, or volunteering around here. Finally! 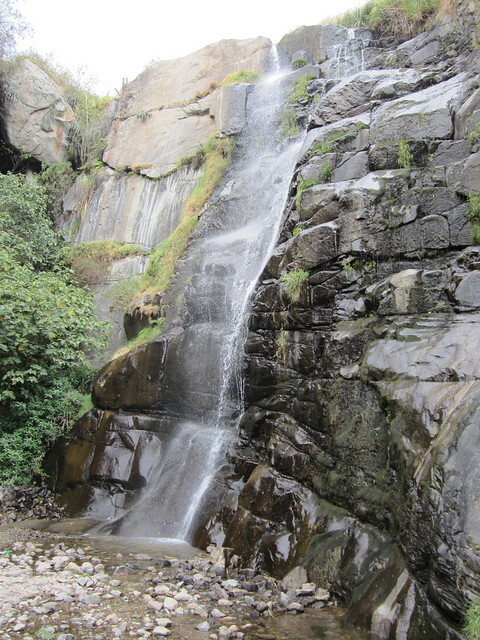 The waterfall at the end of our hike! 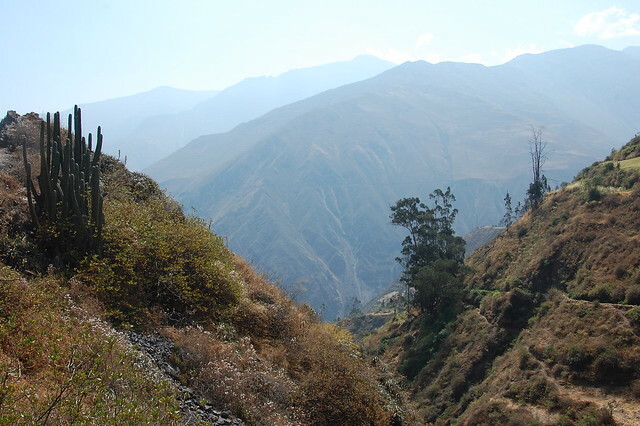 As you can see, this short trek has lots of beautiful views. 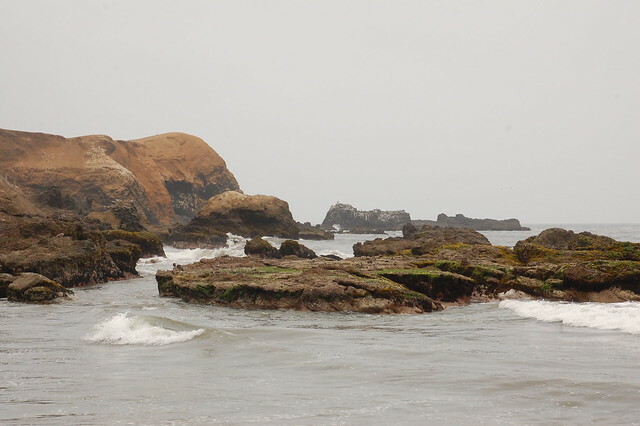 It’s a calm retreat from the craziness of the city. Perhaps I’ll go visit one more time while I’m here! 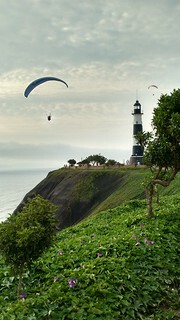 As I mentioned in my last post, I’ve been in Lima for the past few days. It’s been a strange experience, because I’m not really a backpacker like most of the people staying in my hostel. I also don’t really have anything to do, so my options are eat and shop, and I’m not really interested in doing either. (I’ve been suffering from stomach pain for the past few weeks and I really don’t need anything material.) I’ve spent a lot of time walking around and absorbing the fact that I am in Lima and reading over tea or hot chocolate or a meal. I’ve also been spending time with new friends, but it’s starting to feel really surreal. Even though it’s fun, I don’t know people that well. 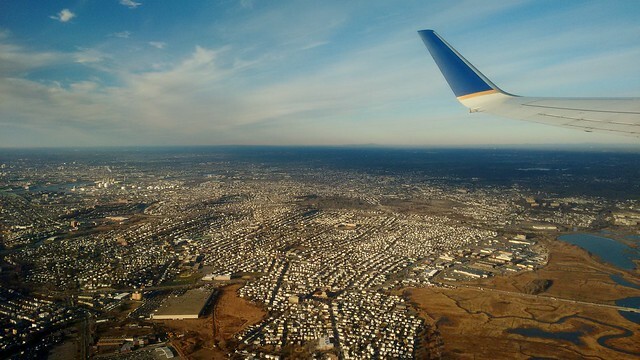 It’s easy to connect with people when you are living an intense experience, but I miss the strong connections of back home. An inevitable feeling. I am starting to understand why people have been saying it is very brave for me to give up everything in my life and move to a strange place and attempt to make connections with new people. It’s also brave to share a bedroom with two people, and then even more in the hostels, for the foreseeable future. I’m going to learn a lot about myself and others, but it’s not going to be easy. Ever. That’s a risky thing to most people. 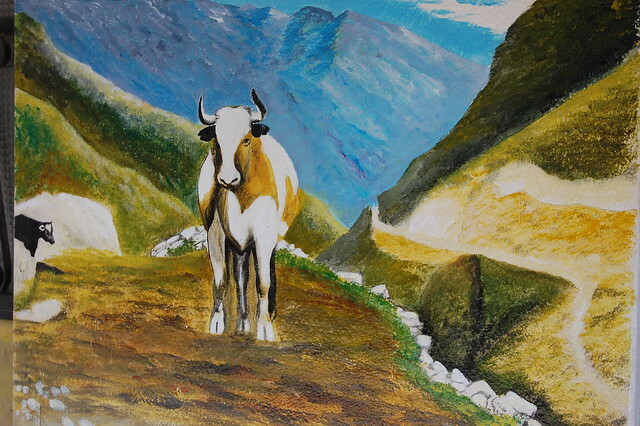 So mostly what I’ve been observing the past few days has to do with pace of life. 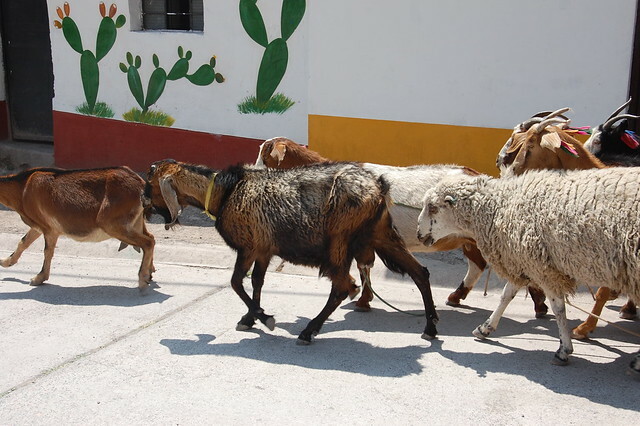 Everything is a lot slower here in Peru. You can count on taking a very long combi ride to get pretty much anywhere. People don’t really read or listen to music on the bus. They just sit. I wonder what they think about. People also walk very slowly. I still have the New York fast-paced walk, even when I have absolutely nowhere to go. I just don’t see the point in walking slow. 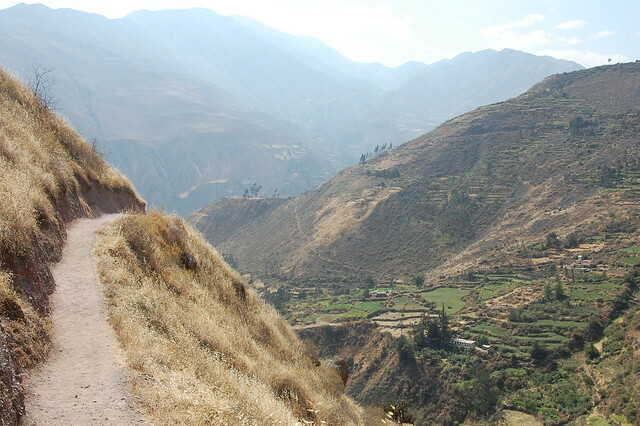 The past few days I’ve really been trying to walk slower, but even my very slow pace is faster than most Peruvians. 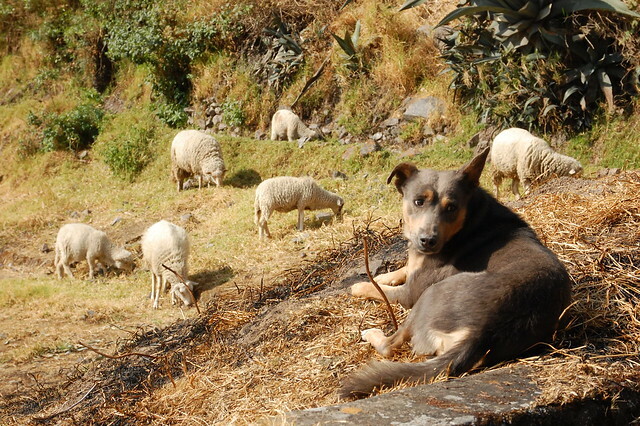 When Peruvians sense me coming up behind them, they seem to get nervous because they think I’m going to rob them. More on that later. People here also eat very slow, at a very leisurely pace. There is no sense of rushing, even with an hour lunch break. I’ve had two lunch dates where my dining companion ate at a snail’s pace, where I, the ever-hungry American, wolfed down my food, even though it was a slow eating pace for me. Food gets cold if you let it sit for too long; I just can’t understand why you would let your food get cold. I still taste and savor my food, or at least I try to – Peruvian food is still fairly bland to me. It’s pretty funny how fast I eat compared to Peruvians. 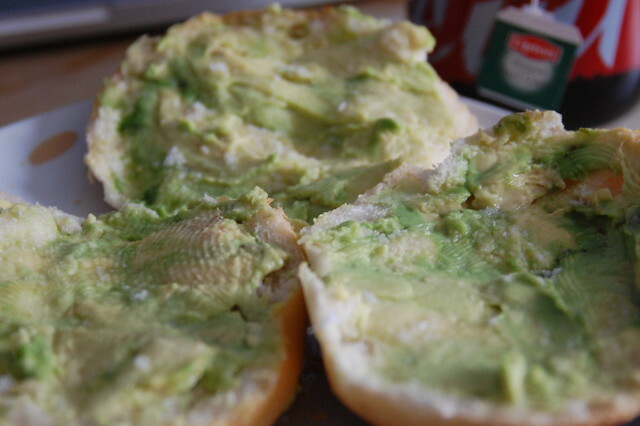 Americans also eat a lot more than Peruvians. The portions are really small at restaurants, even if you are paying a fair amount of money for your food. One of our students asked the director why the gringas were always eating, and he wondered if we got enough food to eat at home. Many of the other volunteers eat two lunches or two dinners, since we always have leftovers. I think it’s because food tends not to be as filling here, since they eat fewer whole grains and raw vegetables. Theft is incredibly common here. One of my new Peruvian friends was robbed at gunpoint two days after we met, and he lost a lot of things. He had to negotiate with the thieves to keep his glasses, which he needs to see. There are lots of stories of glasses being snatched off people’s faces when on buses. I can’t imagine what it would be like to know that you could be robbed at any moment. Why invest in anything nice? I have stopped wearing my sunglasses even though I desperately need them with my blue eyes, because no one wears them, and it just automatically makes me a target even though they are cheap. Most of the nicer restaurants have strapped attached to the chairs for you to secure your purse or backpack or shopping bags to the chair, so that someone will be deterred from snatching them. I don’t feel particularly nervous about theft, considering I adjusted to being aware of that kind of thing with all the petty theft in Buenos Aires. But it is weird to be without my usually constant sunglasses or iPod, and to not want to carry anything that’s difficult to replace. It’s a type of life where I’m not constantly entertained or comfortable or relaxed, and it’s a new sensation for sure. The hardest part has been not having enough opportunities for physical exercise. I’ve never been much of an athlete, but lacking the ability to go to yoga or rock climbing or running on a frequent basis has left me with all kinds of energy. I’m still working on how to redirect it, and I’m halfway through my third book. It’s just so strange living this life. It’s not at all bad, it’s just so different. 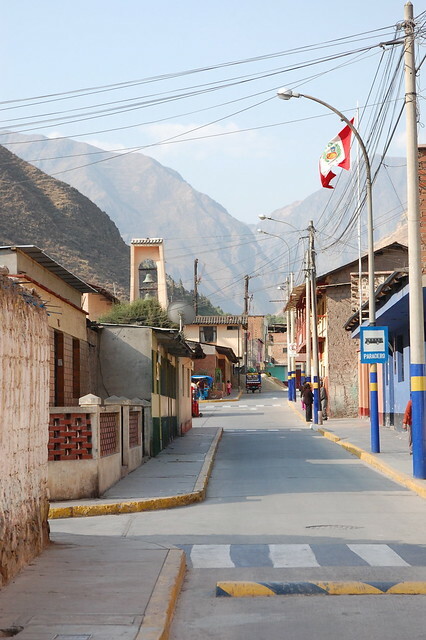 While this is not the most eloquent entry, I wanted to capture these observations before going out for fiestas patrias, Peruvian independence. I’m really looking forward to a night out with the girls.